Update on Ohio BH Redesign. The Ohio BH Redesign, a major coding change for all Ohio Behavioral Health agencies goes live January 1st, 2018 INCLUDING all MyCare Ohio MCO plans. Testing for Ohio Medicaid opens October 25th, 2017 and runs through November 30th, 2017. There are two types of testing available. Any agency can choose to be a Beta Tester. What this means is you will follow a specific guideline for testing certain services and the results of those tests will be turned in to meet the guidelines set by the Ohio Legislature, that state 50% of beta testers must be able to submit a successful claim and get paid as expected. A copy of the beta testing guidelines is available here. The date range for test claims is September 1st, 2017 through October 15th, 2017. When those dates are submitted, Medicaid will jump the dates to after January 1st. Make sure the clients you test with are Medicaid eligible during that time period. And be sure to send your test files in the required EDI format through your Trading Partner to the Cert environment, not Production. Behavioral Health Billing Solutions, LLC is now a Trading Partner with Ohio Medicaid. If you need assistance with processing your EDI files on a regular basis, please contact us at teresaheim@bhbillingsolutions.com. Any claims outside of the identified scenarios will be processed as regular test claims and not included in the beta testing tracking. All agencies are encouraged to test all services and providers they need to within their agencies. Make sure your software vendor is ready for the changes and any changes needed to modify your system to fit your agency are complete before you test. For a list of Behavioral Health vendors in Ohio compiled by Ohio Council, click here. 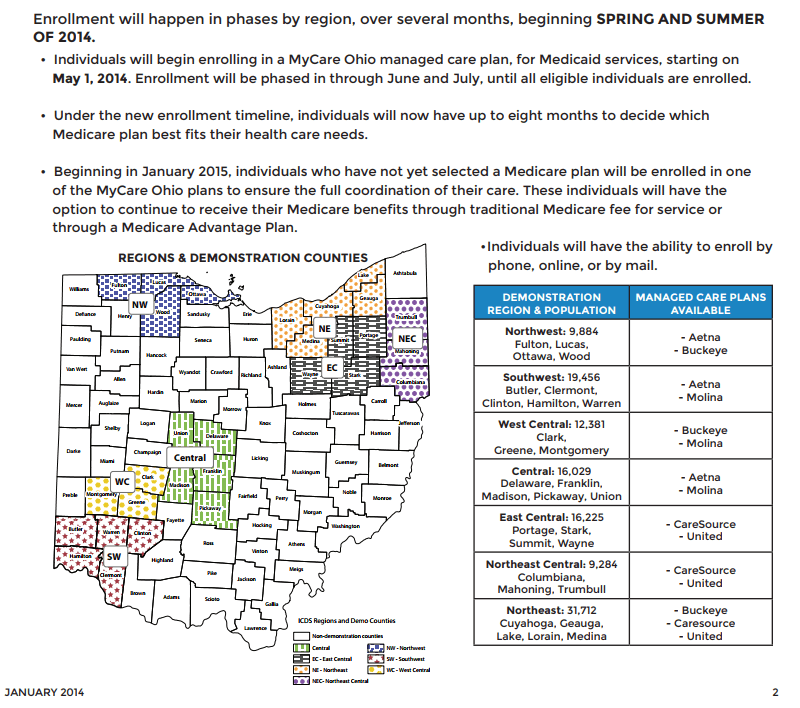 What that means is all BH agencies must bill Ohio Medicaid with the new code set and for MyCare plans IF you are in a demonstration area (pictured below), as of January 1st, you must send your claims to your designated plans with the new code set if that is the type of Medicaid your client has. IF you are outside of a demo area but plan to contract with any of the MyCare plans because clients come to your county from a MyCare plan, you must begin billing the new code set January 1st, 2018. If you are in a MyCare area and haven’t contracted with your plan (which I am finding is the case), chances are you are receiving denials from MITS, if you bill them directly, stating client has an MCO plan. Or if you are billing the MyCare plan directly, you are most likely getting denials for lack of a preauth. Contact your MyCare plans today and contract. If you need assistance reaching them, send me an email and I can point you to the right contacts. The Managed Care Carve-in is scheduled for July 1st, 2018. In addition to managed care going live, the decision has been made to require registration through Medicaid for ALL provider types including dependently licensed and unlicensed. What this means is right now, agencies should be working on the process of obtaining NPI’s for ALL providers through the NPPES site. Current state, there is a lag time on obtaining NPI’s that has been reported by several agencies across the state. Behavioral Health Billing Solutions is offering a start to finish registration service as a delegate for the providers and agencies. This covers all parts of the process including initial contact verbiage for your agency to distribute and then we will manage all parts of the registration process with NPPES and Medicaid. If you are interested in learning more about this service, click here. In addition to registering your providers, you need to reach out and contract with all Managed Care plans today. The process can take between 30 – 90 days, depending on the MCO plan and size of your agency. 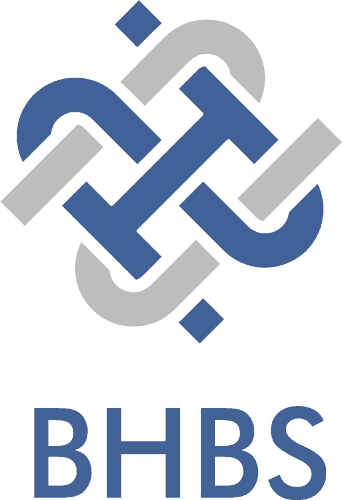 A complete Managed Care resource guide was assembled by the Ohio BH Collaborative and is available here. If you are a registered behavioral health agency in Ohio, you must be aware of these changes, the potential timeline and expected lag time in these processes and begin today preparing for these changes. If you don’t contract with MCO’s prior to July 1st, 2018, they will honor Medicaid contracts for 90 days and if you still haven’t contracted, you could begin receiving denials for services. And keep in mind, current state, we get paid in 10 days. When the managed care carve-in takes place, the MCO plans promise to pay within 30 – 90 days so my recommendation is to get your billing in order prior to then and ensure you have sufficient cash set aside to weather this change in reimbursement. One last important thing to share. IF you will be offering SUD Residential Treatment, you must register with Ohio Medicaid as a new provider type. For more information on this required process, click here. Ohio Medicaid announced BH Redesign 501 trainings. For info, click here.